Have you ever been excited about something only for a nagging feeling of doubt to suddenly invade your consciousness? On Saturday 26 March this is how I felt. Since childhood, I have been a massive Superman fan. At times, my obsession has bordered on dangerous (such as when I was 5 and wearing a Superman cape I boldly walked out in front of traffic to stop a car. Luckily my Dad wasn’t fooled by the cape and proceeded to yank me out of harm’s way). Overall though, I feel I have an investment in Superman. So you’d think I would’ve been pumped to see the latest movie, Batman vs Superman. The reality was, I was nervous as all heck. The reviews had been awful. I shielded myself as much as I could but there was nowhere to hide. 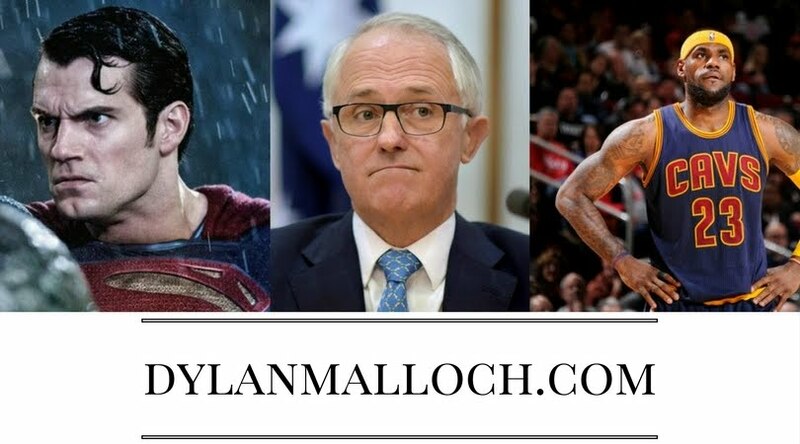 The headlines weren’t light on the hyperbole – from the language used you would’ve thought Superman and Batman was an hour of racist stand-up comedy. People seemed to be borderline offended by what they saw (more on this later). It really got to me. Almost to the point of not wanting to see it at all. But I fronted up at Event Cinemas with my ever-faithful and Henry-Cavill-body-admiring wife, and sat down ready for… well... something. What followed was brilliant. It was unlike anything I expected, which is saying something since the trailers gave waaaay too much away. The opening scene had me captured from the get-go: a re-take of the Wayne parent funeral that had no dialogue, just haunting imagery. This culminated with a symbolic scene of bats raising a young Bruce Wayne out of a cave. In the face of terror, he was able to use that terror for his advantage. The new Batman had arrived. This was followed by a brilliant re-imagining of the destruction of Metropolis from Man of Steel. The car chase was tense, Bruce Wayne was heroic and the first juxtaposition arrived. A mortal man doing heroic things at a ground level but unable to achieve significant change. At the same time, in the sky, a Superman achieving significant change while inflicting massive collateral damage. Here on the ground is Bruce Wayne hugging a helpless child, while a god-like being is waging war in the sky – yet both characters feel what they are doing is ‘right’. It’s a brilliant contrast to open the film. This dichotomy was even more stark in the Batmobile car chase which culminated in Superman crashing the scene. In short, this whole sequence was amazing. The first reveal of the Batmobile was insanely cool and you got the feeling as the chase went on that Batman was unstoppable and indestructible. No matter what the bad guys threw at him, he was always going to come out on top. You could feel the anxiousness of the bad guys and the total arrogant rage of Batman. And then Batman is stopped dead in his tracks by Superman doing, literally, nothing. Simply by standing there, Superman defeats Batman. This man who only seconds earlier had seemed unstoppable, was stopped in a heartbeat. And just like that, our heroes meet. Both feeling they have justice on their side. Both feeling the other is a bridge too far. Both feeling that the other must be stopped. The scene for the whole movie is set. Two heroes who approach the world in crazy different ways, each finding faults with the other’s methods, each too blind to reveal that in partnership they actually combat one another’s blind spot. And that as a social commentary on the current political and sociological age in which we live is genius. At every level of society, things are polarised. 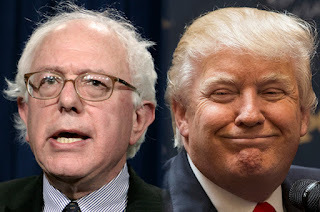 In America it has seen the rise of DonaldTrump and Bernie Sanders – two ideologues on the fringe of the mainstream that are unwilling to compromise but in their own way, believe that they are walking the true path of the righteous. If Superman and Batman were real people in the real-world America of today, I can see things going exactly as it happened in the film. America is pondering its place as a superpower with its foreign policy settings in a period of transition. Fear is a prevailing emotion among the people. 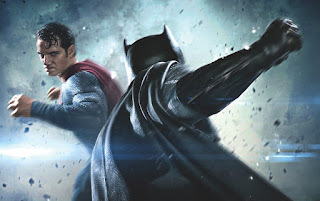 And both the Superman and Batman of Dawn of Justice fit beautifully, almost alarmingly, into that social context. And that, at least to me, is why the film works. It doesn’t try to hide from everyday life in some far-distant superhero reality. It grounds itself in the mess of the real world, where every position, view, belief and event is challenged, ridiculed, admired, deconstructed and argued. Ideas no longer are shared. Rather, positions are declared and war is waged. In the current political and sociological landscape, ideas no longer have sympathisers – they have proponents andopponents. The middle ground is fast disappearing beneath our feet. And the film’s depiction of the journey of both characters to literal breaking point before finally realising the bigger picture is simply brilliant. The three main characters (Superman, Lex Luthor and Batman) each had moments that summed up their performances. Superman – When Superman is hauled before the court in the US Capitol building, something small happens that has enormous symbolism. To get to the stand, Superman walks through the little security gate. The camera lingers ever-so-slightly to emphasise what has just happened. A being who could burn the whole place to the ground humbles himself to this pathetic traditional security measure. It nailed Superman beautifully: a boy scout. A man who wants to help. Someone selfless who wants to show respect but also help those in need. Unlike Batman, someone who walks in the daylight and willingly submits to authorities in an almost sacrificial way. Across the movie Superman is trying figure out what his role in society. Where does he belong? Where are power’s limits? When to act and when not to? These are some hugely fundamental questions both internationally and personally. His struggle to resolve this debate was fascinating viewing. The resolution to this question came when he rescued Lois who was pushed off a building (classic Superman). In Lois’s mind: Superman was gone. He had abandoned the world he had tried to protect. Yet, when she needed him most, he returned. Despite the fear of the world, Superman had to help. He finally resolved the question of where he belonged: right there. In Metropolis, with Lois, saving people. I actually got a little emotional in that scene. A hugely powerful moment. And lastly, even after Superman was hit with a nuclear warhead, he still raced back to Earth to fight for it. Things, it seemed, had gone 180 degrees. Now Superman was the possible collateral damage to the Earth’s use of force. Yet, instead of turning his back and giving up, he went face first to danger ultimately sacrificing himself to save everyone. The story-arc of Superman, having gone inch-close to giving up on societal involvement altogether to suddenly laying his life down for his friends and strangers is remarkable. One of huge significance that could make you ponder questions far bigger than your average action movie. Batman – The first scene when Batman is out and about taking down the bad guys is the most frightening but real Batman scene I’ve yet seen. The screams, the terror of the migrants, the brutality of his methods, the uncertainty of law enforcement. Just brilliant. You got a huge sense of the fear in which the people of Gotham revered the Batman. This brings me to Ben Affleck. I won’t lie, I was super sceptical when I heard he’d be the next Caped Crusader. But holy moley… he was amazing. He owned almost every scene he was in. 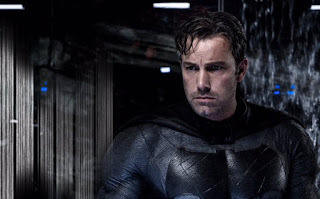 His take on an old, gritty, war-wearied Batman was superb. 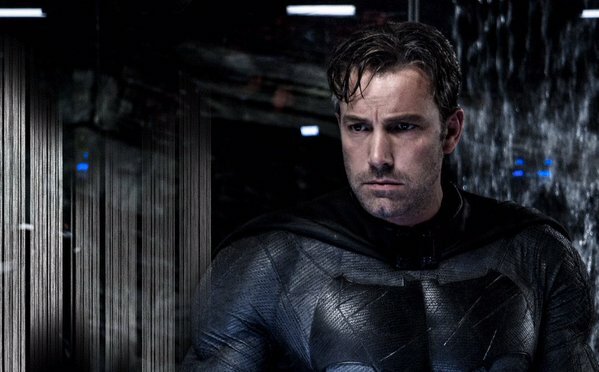 It was probably the most authentic Batman I’ve seen on film. And that final fight scene where he takes down a room of mercenaries was unbelievable. Even though I’d seen most of it in the trailer, I was still captivated. A fantastic action sequence that summed up Batman to a tee – the rage, the fury. It was like a comic book come to life. Lex Luthor – Part-way through the film, Lex hosts a dinner party and gives a speech to welcome his guests. The mix of intelligence, insanity and genius on display in this scene was incredibly strong. Luthor has been interpreted in many ways through media – from Gene Hackman’s pseudo comic relief to Clancy Brown’s aristocratically dry rich man, to Michael Rosenbaum’s arrogant rich kid. But Jesse Eisenberg gave a fresh touch. A psychotic genius young adult who combines arrogance, with curiosity, with insanity was a masterstroke. People will likely see comparisons with his Mark Zuckerberg performance but, to me, it was very different. The world at his fingertips, he stops at nothing to do what his twisted mind deems necessary to ‘save the world’. He’s not after money or fame, but power. And Batman and Superman stand in his way. This is summed up perfectly when he confronts Superman on the roof of the Lexcorp building. Here is this slim-built young man face-to-face with the most powerful being on the planet, yet he doesn’t bat an eyelid. Such is his supreme self-confidence and insanity. It was a terrific re-interpretation of Lex Luthor and a fascinating bit of casting. To me, Luthor was the most interesting character of the film and separated it from much of what’s happening over at Marvel. We haven’t seen a villain like Eisenberg’s Luthor in the Marvel universe with the emphasis on more galactic threats. Thanos, Loki, Ultron have all been removed from our immediate reality (no disrespect here, they've all been excellent). But for a film about Batman and Superman to have the primary villain as a dorky crazy adolescent? Brilliant. Somehow I’ve written 1500 words without even mentioning Wonder Woman, Alfred or Lois Lane. All three had noteworthy roles in the film, but for me, Lois was a bit underdone. That said, I’m ok with this because she’s the primary magnet to pull Superman back to Metropolis. (As that alternate-universe Flash dream that Batman had said: Lois is the key. Without her, Superman’s world falls apart ((see, Injustice: Gods amongus)). 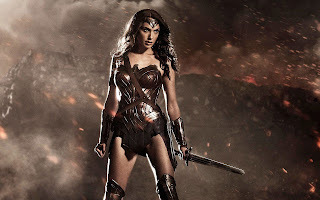 Wonder Woman, though, was a terrific inclusion. Every scene she was in seemed wrapped in intrigue. Who was this mysterious woman? So much uncertainty still surrounds her that the scene is terrifically set for her own movie. 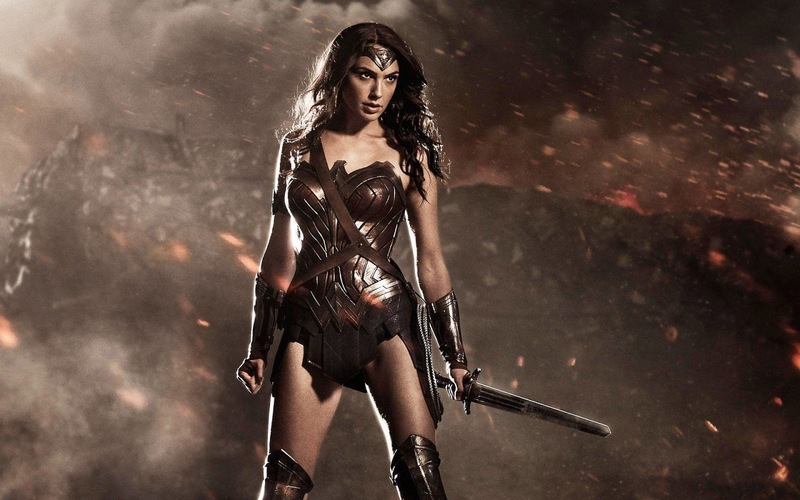 I felt this film gave enough of a glimpse into Wonder Woman without making it feel like she was there to simply ‘make up the numbers’, yet it left enough intrigue to ponder who she really is. I’m very much looking forward to her own movie; one that is long overdue. Lastly, Alfred was outstanding. Jeremy Irons is a brilliant actor and his confidant support role to Batman was just superb. The contrast between Superman having a flashback of his dad on top of a mountain (emphasising a childhood of love) and Batman wandering through his parents’ tomb with only Alfred there to console him (emphasising a childhood of despair and fear) was brilliant. It set the scene perfectly for the eventual fight between Batman and Superman. Yes, the movie had its weak spots. Lois was under-used. The final Doomsday fight was a bit too over-the-top – especially when contrasted with the fight between Batman and Superman which was gritty and tough. But the plusses significantly outweigh the minuses. I don’t see this film as being formulaic or business-as-usual. It’s a far contrast to other films on the market. While Age of Ultron was as subtle as a sledgehammer in its religious commentary that bordered on embarrassing, this film relished in the analysis of Superman as a god-like figure. While Captain America: Winter Soldier tried to provide commentary on state power vs ordinary people, it needed crazy battleship-helicopters and James Bond castaway gadgets to do it. BVS managed to provide a more authentic commentary on such a subject, while remaining grounded in the reality of the increasingly dystopian reality in which we find ourselves. This film definitely is darker than much of what we’ve seen in Marvel, but it feels like a film for the world we live in. One where polarisation is the new normal. One where terror attacks are daily events. One where compromise seems impossible. One where people are angry, fearful yet hopeful all at the same time. Combine these themes with phenomenal action sequences, terrific drama, fascinating character development, edge-of-your-seat anticipation (the courtroom explosion was a crazy moment), and you have a great film. As for the critics, they’re entitled to their views. As for me, I’ll be seeing this movie again.